Trust me, I understand. It is completely overwhelming. You type “Alaska shore excursions” into google, trying to figure out what it is you need to do on your Alaskan Cruise, and the search results are simply endless. Staring into this rabbit hole, you see a few things that the internet assures you, you have to see: Mendenhall Glacier, humpback whales, the Yukon, etc. With all of the natural wonders of Alaska to explore, the list of “Must-dos” is endless. That’s why I’m here. After heading to Alaska from my own gorgeous home state of Montana, I had the opportunity to try out some of the best Alaska shore excursions. I knew from experience that while beautiful landscapes can be endlessly explored, there was always a list of “musts” that I gave my friends who visited me in my previous home. So, I set out to create the same list for people heading up to the great state of Alaska, and here it is! After an amazing and thrilling summer of research, from Mendenhall Glacier to Misty Fjords, here are the best Alaska shore excursions for 2018! While you’re at it, click here to take a look at a full list of the excursions we offer! I’ve been on ziplines before, but those courses pale in comparison to the experience at Grizzly Falls in Skagway, Alaska! First, you have the breathtaking scenery… glacially fed creeks and awe-inspiring waterfalls are complemented by lush greenery. The suspension bridge over the creek offers frame-worthy photo opportunities, and there was no shortage of beautiful views from start to finish! The guides made this experience one I’ll never forget. They kept us smiling while holding dance competitions on the lines and teaching us fun tricks that added to the thrill of soaring among the trees. I had my GoPro with me, but it was great to see the professional photos they took after the course! This adventure-lovers tour begins with pickup at the ship docks and takes you on a scenic drive to historic Dyea. From there, you’ll hop in the monster Unimog for a ride up to the zipline course. At the mountaintop, suit up in the provided safety gear and enjoy one of the most scenic and fun zipline courses offered along the Inside Passage. Once you’ve completed the course, head to the base camp café for drinks, snacks, and photo viewing before returning back to town. 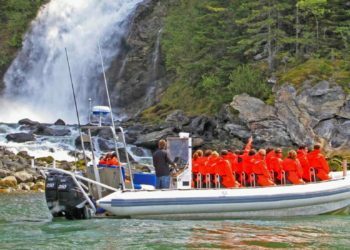 Featuring stunning views of the Dyea area and the end of the Lynn Canal, this tour is among the perfect Alaska shore excursions for the thrill-seekers in your group! I know, I know, everyone has told you to try the helicopter & dogsled combination. But what if I told you I had a better way for you to experience everything Alaskan glaciers have to offer? Would you at least lend an ear? Well gather round, because I have tried many a helicopter tour, but this is easily one of the best Alaska shore excursions for helicopters and glaciers alike: The Taku Glacier Adventure by Air Water and Ice. This breath-taking excursion takes you South of Juneau to the Taku Glacier by helicopter. When you first arrive at the glacier, you will hop on an airboat that will take you right up to the face of the glacier. After returning to the helicopter, return to the air before landing right on Taku for 20 minutes of exploration by foot. When you return to the air, you get your 3rd aerial view of the glacier before returning to Juneau! None of our other Alaska shore excursions will allow you to see more of what these rivers of ice have to offer! Personally, I am still daydreaming about the views out the helicopter window on this one. Experience Taku Glacier from every possible angle! If you are looking for a helicopter tour in Alaska, this is hidden gem definitely needs to be on your “must-do” list. Easily one of my favorite and highly recommended Alaska shore excursions for adventure-lovers in Ketchikan! These high-powered inflatable Zodiac boats are so much fun to drive! If you’re interested in small group tours, you’ll love this one as it has a max capacity of just 12 guests. The Zodiacs each hold 4-passengers and allow you to explore stunning remote inlets in the sea of Ketchikan Harbor. Follow your guide as you find fascinating marine life and uninhabited islands, making stops along the way to switch drivers if you choose. A great way to see wildlife and get up close and personal with the Inside Passage, the Backcountry Zodiac Expedition is among our best Alaska shore excursions for adventure! If you’ve done any preliminary research on the Skagway area, I am sure you have seen at least 50 recommendations for the Yukon. Well, this is easily one of my favorite Alaska shore excursions for seeing everything the Yukon has to offer you! Experience the beauty of the Klondike highway, with the opportunity to stretch your legs and see what locals really cherish about this area. As an avid hiker, and generally active person myself, my first time driving through the area was gorgeous, but I wanted to get out there and explore exactly what the area had to offer. This tour was the best of both worlds. After your drive up the scenic Klondike Highway, all the way to Emerald Lake, your guide will take your group on a hiking adventure that they perfectly tailor to your needs and ability levels! If you have small children or elderly family members with you, our guides will be happy to accommodate. If you have a spirit of adventure and want to get some more miles under your belt, they know the exact spot that is perfect for you! Take advantage of the wealth of knowledge our Yukon guides possess, and make them take you hiking! I know for a fact many of them go hiking on their days off, so they’ll surely know all the best spots for your group. I firmly believe that there is no better way to see a place, than by foot. Yes, it takes significantly longer to walk a place than drive (and I know you have a lot of Alaska shore excursions you are looking to try), but this way, you get to see all the finer details that you miss when the world is flying by you at 60mph. So what better way to see the world famous Mendenhall Glacier, than by foot. This long, but well worth it tour takes you on a 3.5-mile journey out to the Mendenhall Glacier, where you will have approximately 2 hours to explore the glacier and ice caves (conditions permitting) with your knowledgeable guide. I can say for myself, that there is nothing quite like drinking crisp glacier water, straight from its source, and there is no way to quite understand the sheer size of the glacier, until you are standing on top of it, staring out at its towering mass. Pack your hiking boots (and click here to see a list of what else to bring)! Pro-tip: if you’ve ever felt the desire to try out some ice climbing, take the private version of this trip! Take your buddies, and go for an adventure on Mendenhall Glacier! With stunning beauty all around you and plenty of opportunities for photo ops, I guarantee you will manage to snap a new profile picture on this tour. The list of Ketchikan “must-dos” on the google search results, tends to be a bit shorter, but the Misty Fjords certainly makes the list among need-to-see Alaska shore excursions. As you may have noticed from my previous recommendations, I am a big fan of seeing the gorgeous Alaskan wilderness “from all angles,” and this is yet another great example of that! Start your journey with a thrilling flight through the Misty Fjords (maybe even dipping next to one of the powerful waterfalls streaming over 200-foot cliffs). From here your remote water landing takes you right to the cruise, where you get to enjoy the breath-taking views from a whole new angle, with the knowledge of your onboard naturalist keeping you entertained on the journey back! Pro-tip: this tour books up quickly, so get your seats early. Don’t miss your opportunity to see one of our nations most remote national monuments. With stunning granite faces and cascading waterfalls, add our Alaska shore excursions to the Misty Fjords to your “must-do” list. If you missed this chance to get up close and personal with the Mendenhall Glacier in Juneau, the Glacier Point Wilderness Safari will be your redemption! I may be biased, (I was able to take this tour on one of the rare days when the Southeast Alaska skies open up and the sun shines through) but this tour has some of the best views you’ll find on your Alaskan cruise. The one-hour boat ride out the Glacier Point allows for 360-degree views of the Lynn Canal, and more photo opportunities than your camera can handle. Upon reaching Glacier Point, I guarantee you will be fascinated by the guides who choose to live off the grid in the Alaskan Wilderness for 5 months of the year – it definitely takes a certain kind of person. From there commences the bus/hike/canoe journey out to Davidson Glacier, and let me tell you, nothing quite compares to standing directly underneath the towering beauty of one of these behemoths. 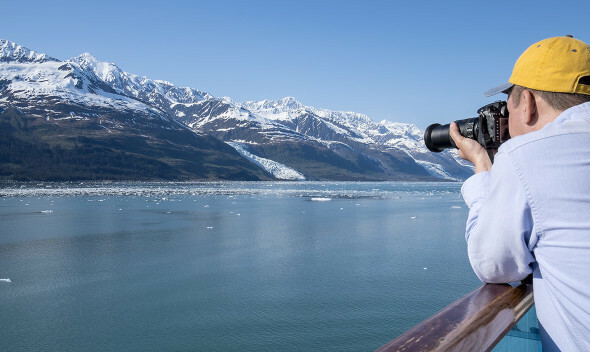 With jaw-dropping views and some of the most interesting guides around, this tour is a must-do among Alaska shore excursions. Pro-tip: keep an eye out for Mountain Goats on the cliff faces next to the glacier and for sea lions along the sides of the Lynn Canal! Have your camera and questions ready! The Glacier Point Wilderness Safari is a one of a kind opportunity to see Davidson Glacier, and the incredible people who call it home for the summer. Our other brand-new tour, just released for 2018, this excursion is a must for groups looking to see the serene beauty of Juneau’s waters, with a local flavor twist. Though we cannot make a guarantee with wildlife, this tour is a great opportunity to spot some of Juneau’s marine mammals, including sea lions, seals, porpoises, otters, and even whales! What I really love about this tour, is that it will give me the opportunity to experience several of the “must-dos” in Juneau, without feeling like you didn’t get enough time to experience true Alaskan wilderness! Without a doubt, this is one of the best new Alaska shore excursions I have found and will remain on my list of quite some time. Paddle along Juneau’s beautiful, untouched coastline & munch on some tasty treats on the Taste of Nature Kayak & Gourmet Food Adventure with some of the best guides in Southeast Alaska to keep the tour safe and exciting! 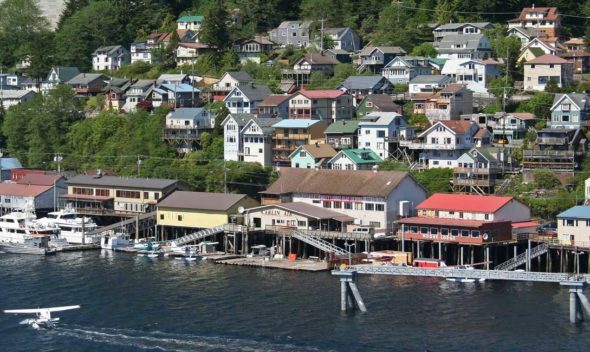 In case you haven’t picked up on it, water is the heart of Ketchikan (you can’t even get to Ketchikan without some form of water transportation). As the Salmon Capital of the World, Fishing, more specifically, is the industry that has powered Ketchikan through all its years. Coming to Alaska from a landlocked state, I didn’t really know what this meant until I took this tour! On this tour, you will spend a beautiful 3 hours floating along the waters of the inside passage, on a boat that was once featured on Discovery Channel’s “Deadliest Catch.” Along the way, you will be entertained by the tall tales that only a true fisherman can spin, and an up-close look at the sea life that makes Alaskan water’s so rich. 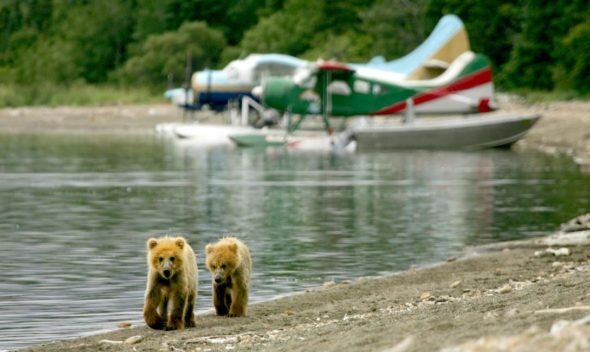 This is one of the Alaska shore excursions you won’t want to miss if you’re looking to see what Alaskan life is really about! Get up close and personal with Alaskan sea life. From octopus, to prawns, to Dungeness crab, get a personal look at the sea creatures that fuel Alaska’s fishing industry. With this great tour, I loved the chance to see all the major highlights of Juneau in one great excursion! Budget friendly, and easy to book, this tour is especially great if you’re a last-minute planner like me (I know, I’m on the phone all the time telling people they need to book now. Sometimes, I admit, I am a hypocrite). When I describe Juneau in a quick synopsis to friends, I always mention glaciers and whales. Whales because, with the inside passage being so narrow, we can literally guarantee whale sitings on this tour! Glaciers, because who has ever spent more than 5 minutes googling Juneau, and not seen mention of the famed Mendenhall Glacier. But don’t discount the city of Juneau itself! As the Capital of Alaska, this city has a lot to offer, and this tour offered the perfect opportunity to let my inner history buff shine during the drive to Auke Bay and Mendenhall Glacier. So get it all, as I already mention over and again in this post, with one of the most in-depth Alaska shore excursions we offer. Haley is our resident marketing guru and mac n' cheese connoisseur. Growing up in the Big Sky Country down south, she developed her love of big mountains and epic adventures that drew her here to Alaska Shore Tours.